I’ve got some honesty for you guys. You see, Friday I went bowling sock-less… Yep, that’s right. I wore public shoes without socks. And I’m totally cool with the 10-second rule. You better believe that sometimes entire slices of pizza fly off my plate and I still eat them. Now you know. Sorry, Elliot, but I can’t sacrifice pizza ever. I feel the same way about these burgers. If one were to fly off my plate, I’d totally still eat it. They’re too good to leave behind. And these come together in a snap. Just chop, mash, stir, stuff, and bake. And you don’t HAVE to put goat cheese in the center of these guys, but I promise it’s delish. You could always stuff them with another cheese of your choice. I like to make these Light Brioche Buns and pop them in the freezer for spontaneous burgering. I made little 1.5 oz buns for these sliders. It might be my favorite size yet! AND these are prefect for serving a crowd. you can assemble the patties in advance and pop them on the baking sheets in the fridge and bake them up when your guests arrive. Slider party! Preheat oven to 375 degrees F. Line a baking sheet with foil and spray with cooking spray. Set aside. In a medium bowl, mash black beans with a potato masher followed by a fork until thick and pasty. Stir minced red pepper, onion and garlic into the mashed beans. Divide mixture into 8 patties using a 1/4 cup measuring cup. Divide goat cheese into 8 (1 0z) disks. Break each patty in half pat into a disk. Top with the other half of the patty. Cover the cheese completely. Pat down into a slider-sized patty. Repeat with all the burgers. Place on foil lined baking sheet and bake for 8 minutes on one side and then flip. Bake for 6 minutes longer, top with additional cheese (Monterey jack), if you want, and bake for additional 2 minutes. Meanwhile toast the buns and make guacamole. Mash avocado in a small bowl. Add garlic, salt and pepper, greek yogurt, and lime juice to taste. 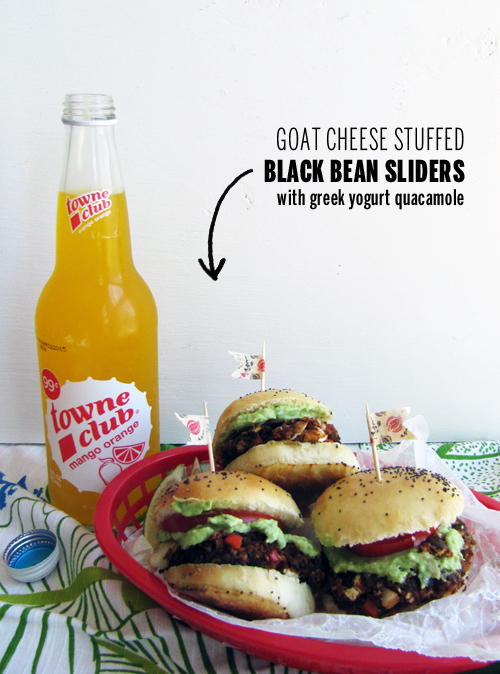 Remove from the oven and assemble your delicious black bean sliders with a tomato slice and guacamole. Enjoy! I celebrated the weekend with a Chicago dog and booze shake from Mercury Burger Bar. How did you guys live it up? I hit up an antique store with my mom and bought two small jugs, WHATSUP. These sliders look amazang, I am so impressed by your bun-making ability. Yeah girl! Love antique shopping. Jug it up, sup! I live by the 10 second rule, if I didn’t I would have to through out half my food since I am a clutz and have been dropping everything lately! So yeah, the 10 second rule, rules! Anyway, this burger is awesome. Goat cheese in the middle and guacamole on top? Oh man! Is it weird that I want this for breakfast because I haven’t eaten breakfast yet and this looks ridiculously delicious? Oh dear. Girl, if that’s weird, I don’t want to be normal. Wait.. 10 seconds..umm I thought it was 10 mins. I need these little burger beauties in my life. Greek yogurt guacamole. Amen, my friend, amen. And bowling sockless–sometimes it just has to be done. Last night a dozen cookies fell on the ground and I definitely picked them up and frosted them. It was one of those nights (and only members of my household ate them). Can’t wait to try these! 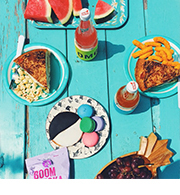 the 10 second rule is a testament to our love of all things delicious…can’t let that business go to waste! I love these burgs, and I love the 1.5 ounces buns! I did 2 ounce ones this weekend, but next I’ma do the littler guys…the cuter the tastier! Yeah girl! You know what’s up. And yeah! If they’re smaller you can totes eat 3 in a row, no bigs. These sliders sound amazing! Why have I never thought to stuff bean burgers with cheese before? Especially since goat cheese is so tangy & rich–such a great contrast to the hearty beans. Yay! Oh, Iris! I hope you made these! Anything stuffed with goat cheese has to be delicious!!! Never thought of stuffing a black bean burger! Good idea – will definitely try! Meatless burger! Looks like we won’t be missing any of that meat too. Loads of spice. Mmmmm Chicago hot dog! It is my personal fave way to ring in the weekend, being from Chicago and all! These burgers are so amazing! 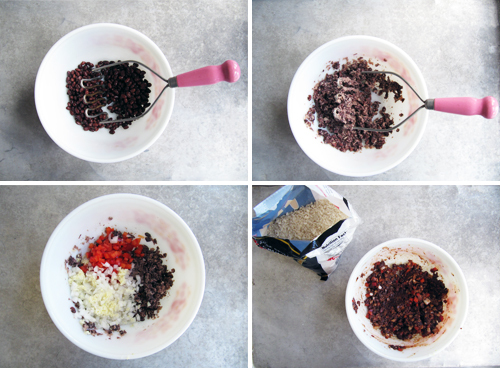 I love a good black bean burger recipe. Especially one that stays together, mine usually fall apart or dry out. I can’t wait to try these! Oh yum! These look SO SO yummy. I’m making them. Yes I am. Thanks, Haley! I hope you did! You just know how to weekend! 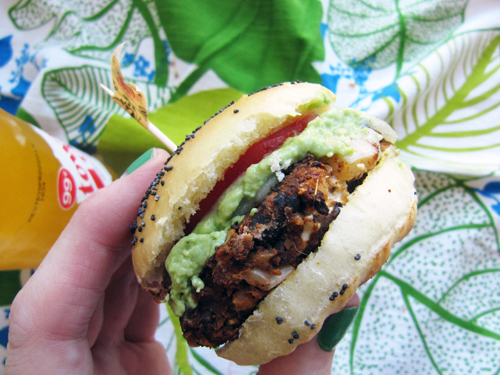 Tastiest looking black bean burgz ever! Cheese stuffed?!? Your food skillz are seriously off the charts. I had a fab weekend with beach time, a Tamale King food truck and a farmers market blueberry donut on the west side. Thanks, Nicole! Whoa, now I want a blueberry donut fo realz. I JUST made black bean burgers for the first time and now I wish I had stuffed them with goat cheese, yum! 10 second rule applies. Always applies on pizza. Always. And burgers, too. Yes! I just dropped my lunch on the floor and picked it up real quick. ha I’m the clumsiest! I love these. Black beans make the best burgers! Totally ran out of time to stuff these with delish goat cheese and they were still amazing! Thanks for the recipe. Strike the last comment–THIS is the slider I’ll make first! I made these tonight, I actually went with a full burger instead of slider sized and I really wish I had made them smaller. They were gigantic! But still awesome. Thanks for the great recipes! Where can I find chipotle smoked hot pepper? I just made these, they are amazing! Will make again soon. this is a great recipe!! Made these last night and my oh my were they delicious! Due to a recent diagnosis of Celiac, I made these GF by using Rice Chex that I whipped through my food processor instead of the panko. Held the burgers together like a dream. Thanks for such a tasty recipe! 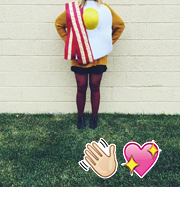 Next post: Let’s make sandwiches!